Tokyo is fast becoming a strong and influential force in the world of dance music. 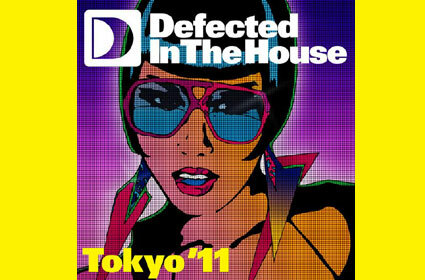 Defected In The House Tokyo '11, mixed by Studio Apartment and Rae, celebrates the innovation, passion and excitement of Japanese clubbers. Studio Apartment are vocal infused production duo Masanori Morita and Norboru Abe. Rae is creating buzz as an artist on the Japanese scene and has a debut tour scheduled for January 2011. Her work with Studio Apartment inspired this collaboration. The double disc album features tracks by the likes of DJ Gregory, Gregor Salto, Tong & Spoon, Louie Vega and Michael Gray.